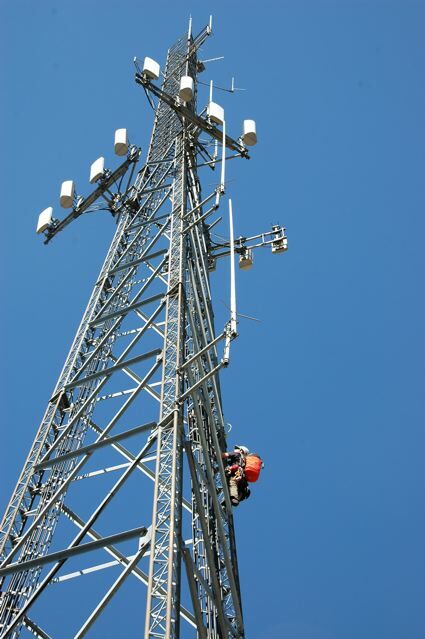 Students practice climbing and rescues on 300' cell tower in central Michigan during the STRW (Strutural Tower Rescue Workshop). 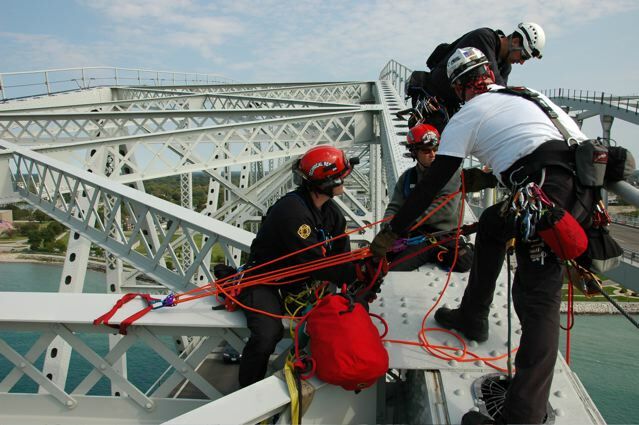 Lowering off the Port Huron bridge after pick off rescue during the STRW (Strutural Tower Rescue Workshop). 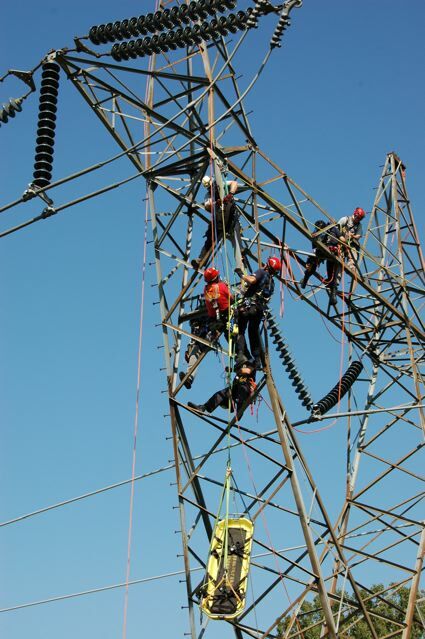 Students working on a 345kv power transmission tower for Consumers Energy in Marshall, Michigan during the STRW (Strutural Tower Rescue Workshop). 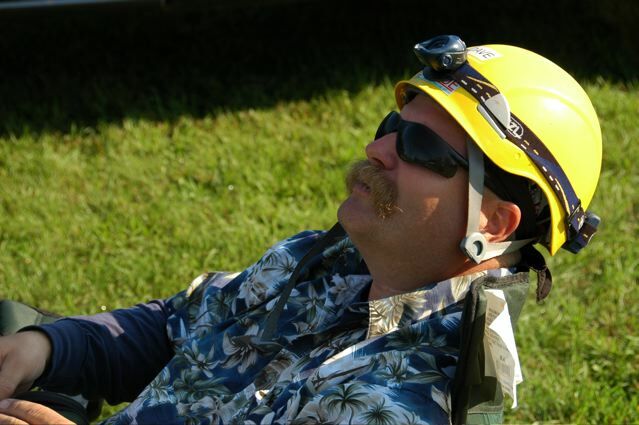 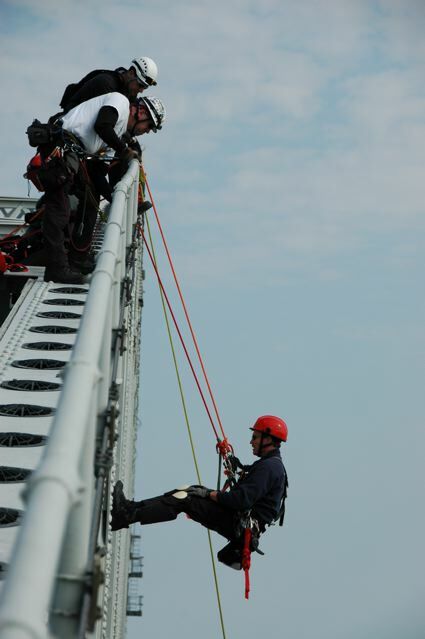 RTR Lead Instructor, Dave Van Holstyn (also called "VH-1" by many) sitting in arm chair watching the students on the Consumers Energy tower during the STRW (Strutural Tower Rescue Workshop). 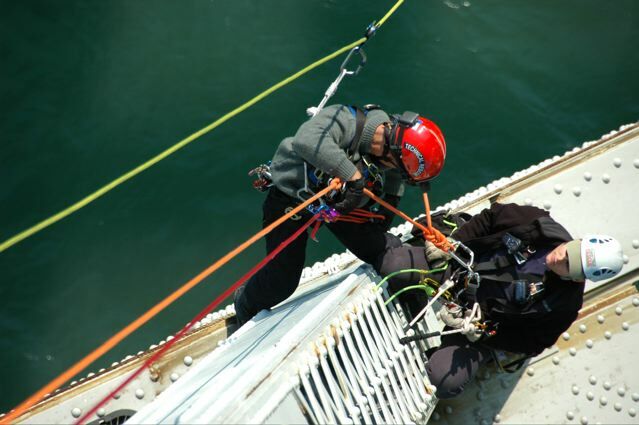 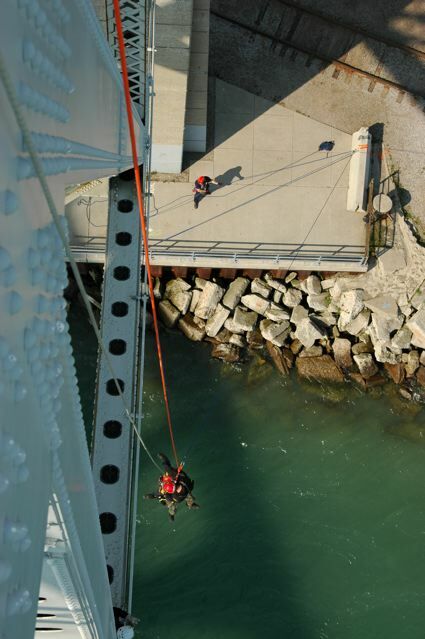 Rescuer rappelling off of Port Huron Bridge during the STRW (Strutural Tower Rescue Workshop). 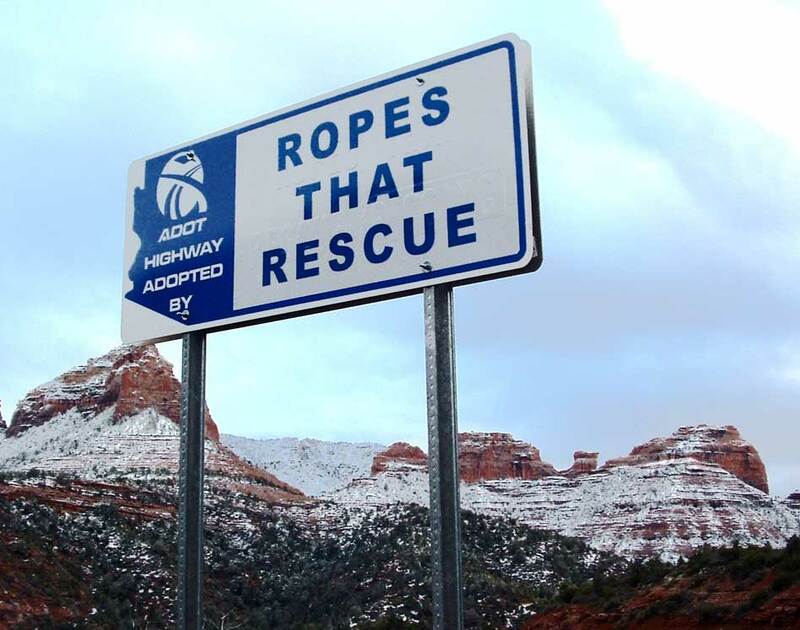 Canada is on far side. 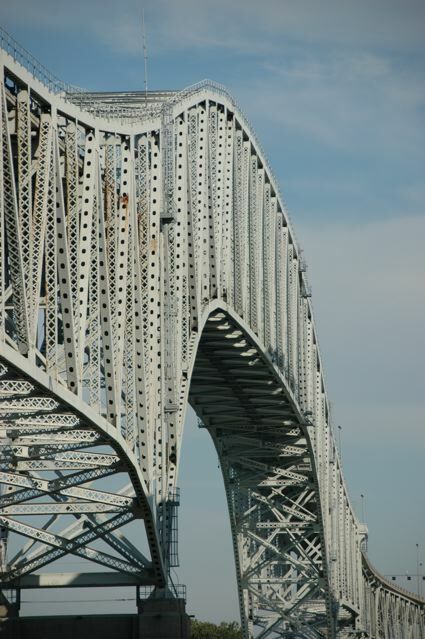 The impressive bridge to Canada at Port Huron, Michigan. 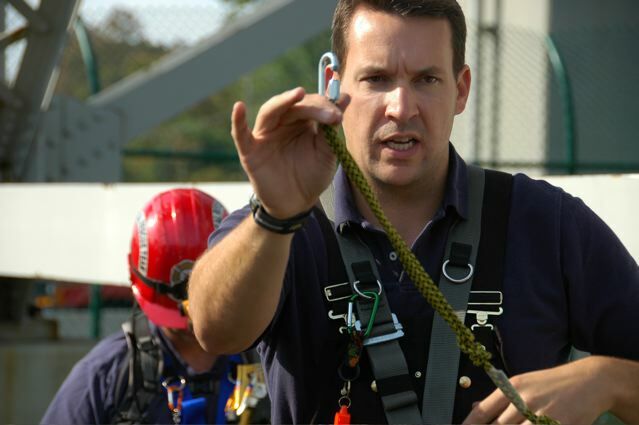 STRW (Strutural Tower Rescue Workshop). 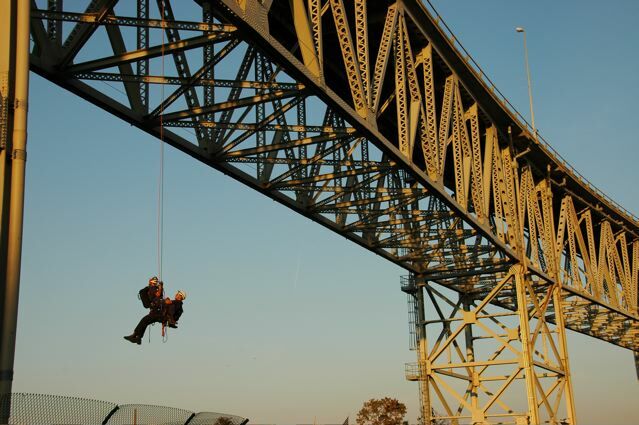 Rescuer rappelling off of Port Huron Bridge. 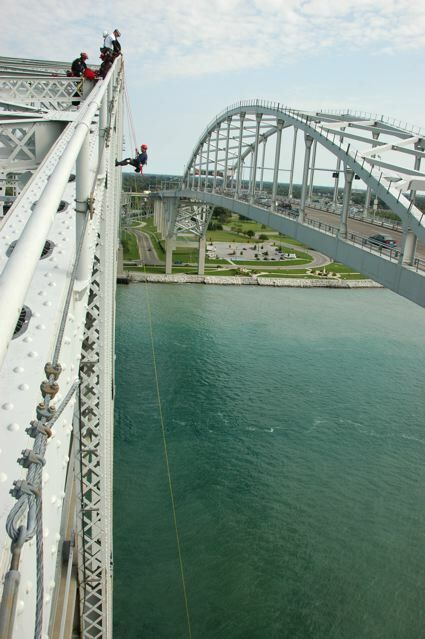 Canada is on far side. 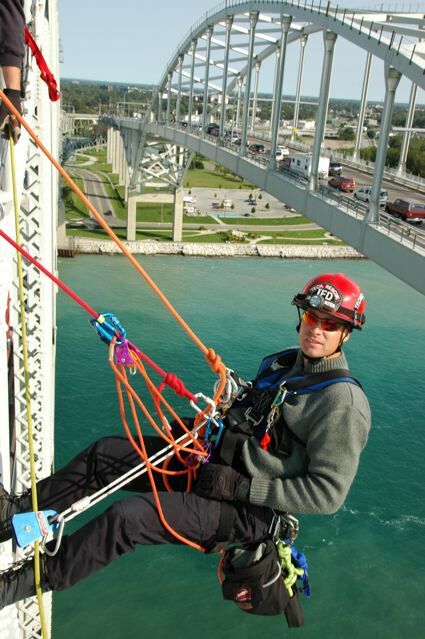 RTR lead Instructor, Greg Sobole goes over the AZTEK kit during the STRW (Structural Tower rescue Workshop) at Port Huron Bridge.